Community Key is a registered charity set up in late 2015 by our mortgage brokerage that helps families caring for a seriously ill or critically injured child to make their monthly mortgage or rent payments at their time of greatest need. and caring for a sick or injured child." Everytime someone arranges a mortgage through our group, we contribute a set amount to the charity. Everytime you utlize the real estate services of one of our paticipating partners, including select Realtors, Lawyers, Appraisers, Inspectors, and Mortgage Lenders, they too will contribute a set amount to the charity. We will make direct payments to their mortgage lender or rent to their landlord. We will work directly with their lender to help delay, minimize, or otherwise reduce their financial burden. The grant does not need to be repaid. Our charity is new, and we hope to grow it Canada-wide. Our processes will evolve over time. Visit the official Community Key web page - click here to make contact and get started. Applications are then reviewed by an independent team of volunteers comprised of professionals involved in social work, health care, insurance, and finance. Priority recipients will then be contacted. Purchase a one-of-a-kind hand engraved Community Key pendant designed and created by North American jewelry designer Barb Johnston, All sales proceeds go directly to Community Key. Stay-tuned for more details or click-here if you just can't wait. If you are hosting an event, wish to make a donation in lieu of sending Christmas Cards, fund-raising, etc. this charity is the perfect opportunity to use the Community Key logo and story to help raise money for a very worthwhile cause. 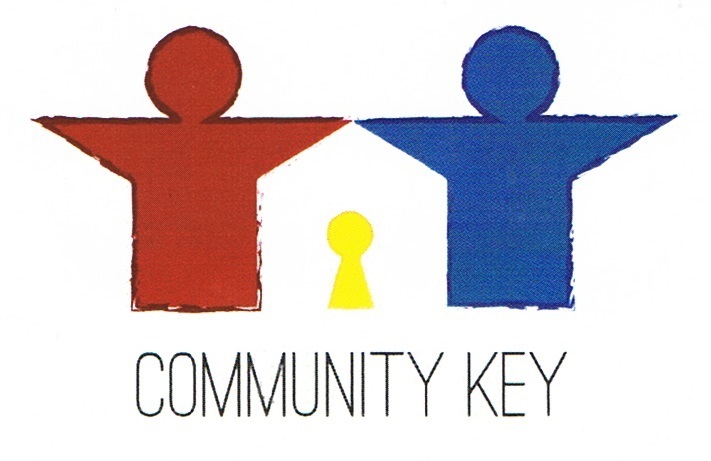 Community Key will send a thank you note to your customer acknowledging your direct support of the program. You will be able to use the Community Key logo in your advertising and to promote your business. Community Key Information Brochure to share with your customers. Stay-tuned for a pledge form/more details or click-here if you just can't wait. Our official charity website www.keyed.ca is online now.